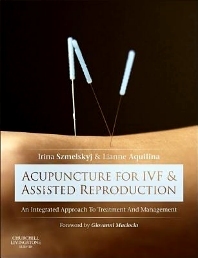 Irina Szmelskyj is an acupuncturist with more than 10 years’ experience specializing in reproductive health care, including the health care needs of patients with infertility issues and the use of acupuncture in the clinical management of patients undergoing assisted reproductive treatments such as IVF. Irina’s method of managing subfertile patients is based on a thorough understanding of the value of combining the best of Traditional Chinese Medicine (TCM) and conventional medicine. Her approach emphasizes the clinical utility of integrating both classically based traditional acupuncture treatment techniques and concepts with the practical clinical application of contemporary evidence-based advances from the rapidly changing landscape of reproductive medicine research. Irina practises acupuncture at True Health Clinics in Godmanchester, Cambridgeshire, United Kingdom. Lianne Aquilina is a traditional Chinese medical acupuncturist. In 2005 the Faculty of Health, Life and Social Sciences of the University of Lincoln, awarded her the Dean's prize for Studies in Health. She is an experienced BSc (Hons) acupuncture clinical supervisor. Her role includes teaching third year acupuncture students the application of classical and traditional Chinese medicine principles along with the clinical utility of Chinese acupuncture. She is also a visiting guest lecturer to undergraduate students on the use of Chinese medicine and acupuncture treatment in the management of infertility and In Vitro Fertilization (IVF). She completed further training at the Guangdong Province Second Hospital of TCM in China. It was here where she observed an authentic combination of traditional Chinese and medical strategies in treatment and management of disease. Lianne's specializes in providing fertility acupuncture treatment, based on innovative applied classical Chinese philosophy and Traditional Chinese Medicine (TCM) concepts of reproductive health and fertility. Lianne practices acupuncture at Aquilia Fertility in Stamford, Lincolnshire, United Kingdom.